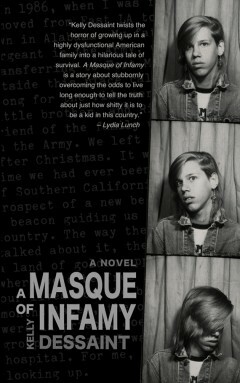 This blog collects all the media promotion for the book A Masque of Infamy by Kelly Dessaint, including reviews of the book, interviews with the author about the book and excerpts from the book. All content is copyrighted by their respective creators, but feel free to use anything on this site to help promote the book. For high resolution files, please visit the Phony Lid site.